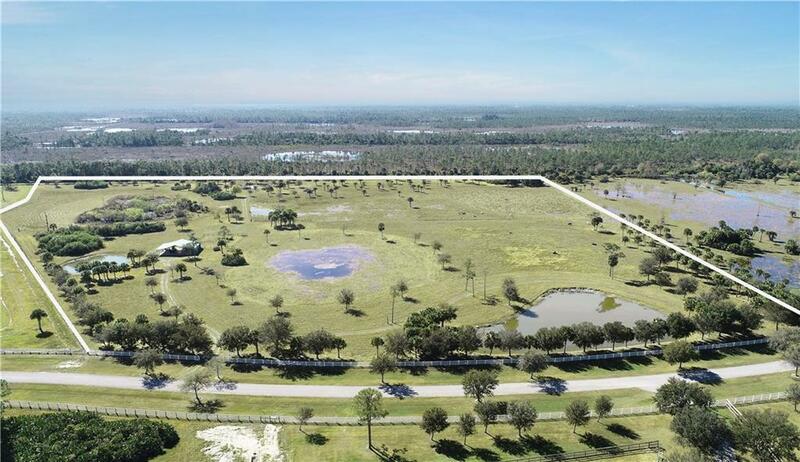 One of the largest lots in Trailside a gated equestrian community in Stuart. There is a 1600 sq. ft. utility/workshop with office, building pad, ponds and lots of beautiful trees. Property is fenced with cattle grazing lease, taxes currently are based on agricultural exemption. Build your dream ranch or have your own weekend paradise just outside the city. Close to I95, Stuart and Jupiter.